The subtle surfaces of Plexiglas® Satinice and impressive array of colours allow your imagination to wander creating, enhancing any environment with light and colour. Resistant to traces of wear and finger marks, these products are technologically developed to also have the perfect balance between transmission and diffusion. Whether for decorative glazing, privacy partitions, shelves, furniture or store fittings, or decorative architectural applications, Plexiglas will add brilliance to any display. 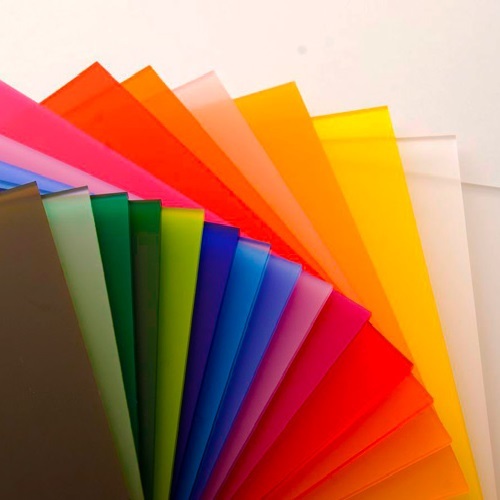 Acrylic sheet is half the weight of an equivalent glass panel and is more easily transport, installed and supported.